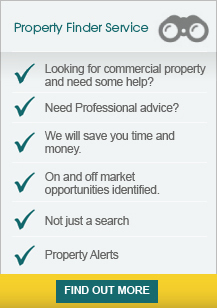 Bulleys commercial property experts offer a wide range of commercial property in Bridgnorth. Finding commercial property for sale or to let throughout Bridgnorth and Shropshire can often be a time consuming process, so we provide our expertise to help you make the right choice. If you can't find the commercial property in Bridgnorth you are looking for let us know and we will be able to assist you, or why not try out our property finder service and register for commercial property alerts. Our commercial property in Bridgnorth are updated daily, so you can be rest assured we bring you the most recent and up to date commercial property listings. We also provide other commercial property services including property valuations, renegotiating leases, rating, and commercial property management in Bridgnorth and Shropshire. The property is located in High Street, Bridgnorth Town Centre. The property is adjacent to the Golden Lion Inn and nearby multiple retailers include Greggs, The Edinburgh Woollen Mill, Superdrug and WH Smith. Bridgnorth is an affluent and popular tourist and historic town..